A breast lift, or mastopexy, can work wonders for a sagging bust. It can give you back your confidence and make you feel comfortable in your own body again. And with a personalized breast lift procedure at Mountain State ENT & Aesthetics, you can be on your way to looking and feeling your best in no time—all while staying close to the comforts of home in West Virginia. Here are a few things to consider before opting for this reinvigorating surgery. 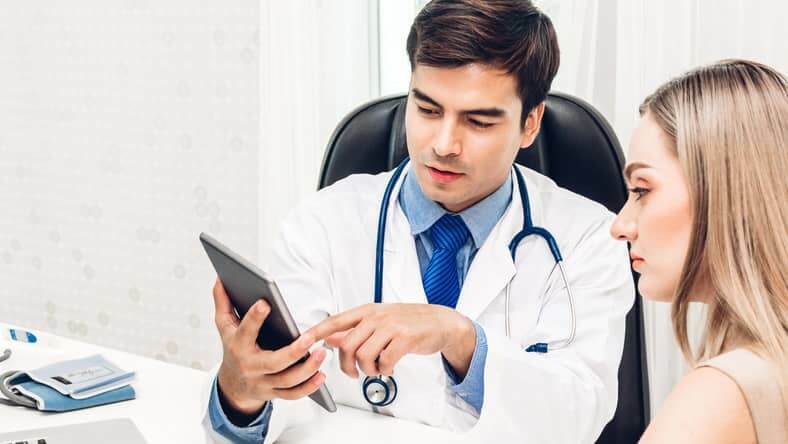 Along with Dr. Paine, our team at Beckely’s Mountain State ENT & Aesthetics has been enamored with the tremendous and transformational effects of ThermiSmooth. We all know of someone—or perhaps, are someone—who has a tattoo that they regret. Fortunately, laser tattoo removal can be extremely effective. That said, the results of laser tattoo removal do vary depending on the characteristics of your tattoo. 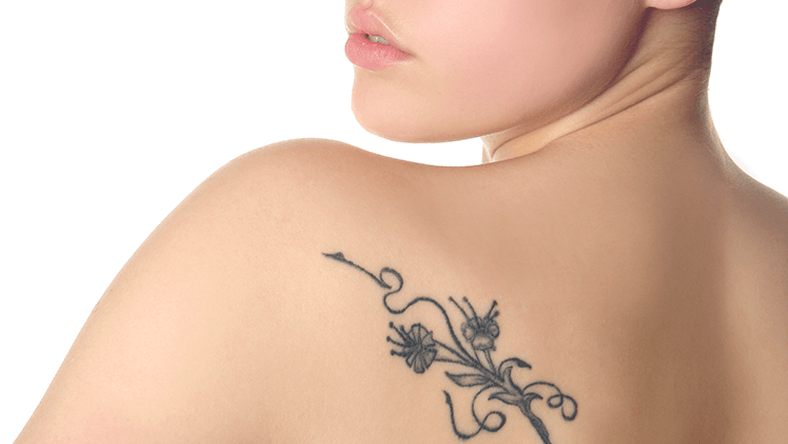 Here, we explore a number of factors that can affect just how successful the laser removal will be in the case of your particular tattoo. As you had probably guessed, the larger the tattoo is, the more effort it will take to remove it. Our highly trained technicians are careful to spread the removal out over multiple sessions as to not overdue the amount of energy being absorbed by the skin. Most tattoos can be removed within three to nine sessions. Larger tattoos tend to require more sessions at Dr. Paine’s Beckley practice than a smaller tattoo will. Contrary to what you might expect, darker colors are typically easier to remove than lighter colors. Each color responds best to a specific wavelength of light. For the most part, black and grey tattoos tend to be the easiest to remove. Reds and yellows have generally been the hardest colors to remove. the neck, chest, rib cage, or foot and ankle. Our certified technician may choose to reduce the amount of laser energy used to help make your treatment more bearable. While not as painful, this can lengthen the process and add to the number of sessions you will need. Along with the type of ink used, the amount of ink also has an affect on the outcome of your laser treatment. The more ink used, the more difficult it will be to completely remove the tattoo. It is worth noting that we seem to have gotten smarter over the years—inks are now designed to be more easily removed. The longer you have had your tattoo, the more likely it is to be embedded into the skin. While older tattoos can usually be removed, they do require stronger energy levels and a higher number of sessions. As you can see, the success of laser tattoo removal is tied to a number of factors. The best way to know for sure just how effective laser tattoo removal will be for you is by meeting with an experienced physician like Dr. Paine. Every year at Mountain State ENT & Aesthetic, Dr. Paine has a number of patients who come in just before summer wondering what it will take to get their bodies “beach-ready”. Come summer, it is often too late. Fortunately, there is still time to get the body you want this spring. Here, we take a look at three of our most popular body contouring procedures that can have you looking better by summer and explain just how far ahead you should schedule your consultation with Dr. Paine. Congratulations on your pregnancy! Marking the beginning of a new chapter in your life, the first few months of pregnancy are an exciting time for you and your growing family. Along with the excitement, you are bound to have many questions. For women who have previously undergone breast augmentation, there are often many questions as to what and how their breast implants will affect—and be affected—by pregnancy, childbirth, and breastfeeding. During the summer, the sun and its damaging UV rays can take a dramatic toll on our skin. Like the rest of the body, our skin depends on a healthy diet. A balanced diet full of vitamins keeps your skin looking and feeling healthy. When combined with powerful in-office skincare treatments, a healthy diet can help boost your skin’s health. Nourish your skin from the inside out! Make sure to get enough of these vitamins—and try these skincare recommendations from Dr. Paine and our expert staff at the Healing Springs Medical Spa. With its ability to tighten and improve the skin’s tone and texture, it is no surprise that ThermiSmooth® Body has become a patient favorite at Mountain State ENT & Aesthetics. Like ThermiTight® and ThermiVa®, ThermiSmooth Body is a part of the Thermi™ family. While all of these treatments deliver temperature-controlled radio frequency energy to promote the body’s natural production of collagen, ThermiSmooth Body is unique in that it is able to improve the appearance of skin laxity as well as cellulite. You know that you should wear sunscreen. However, with the warm days of summer calling your name, it can be easy to rush outside without applying sunscreen first. Mountain State ENT & Aesthetics wants to remind you that sunscreen is more important than you might think.